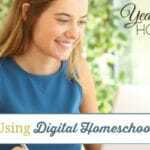 Getting started with digital homeschool curriculum is easy, but organizing and storing it properly – to ensure that you actually use what you’ve purchased is the most important step that many people don’t take time to do. The first few years we used digital homeschool curriculum I didn’t organize or store it in any particular way. If I were to look back at the documents on my external hard drive I know I would find a lot of resources that I never used. Why? 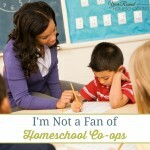 I didn’t organize or store the digital homeschool curriculum I purchased in any specific way. Chances are if you were to take a moment and look through the documents on your PC, device or external hard drive you’d find that there are files that you have never looked at and resources you’ve never used as well. You may want to take time to actually look through them before the new homeschool year begins, you might actually find something that you want to use! Don’t ask me how I know this to be true. Whether you have already purchased digital homeschool curriculum or you are considering using it in the future, I encourage you to ensure that you organize and store them in a way that will make it easy to find what you’re looking for easily. It will save you time and money both now and in the future. There is nothing more frustrating than trying to find the file you know you purchased on your unorganized device. 1. Create a master folder on your PC and title it “Homeschool Year 20–” and add all of your digital homeschool curriculum for that year to that master folder. Having a master set of all of the digital homeschool curriculum you use each year allows you to locate resources quickly if you want to use it again later in your homeschooling journey. 2. 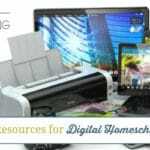 Set up sub-folders for each subject for which you have digital homeschool curriculum. Even if you start off the year with just one resource for each subject, you could add to your collection and this will save you a step later. It also helps you find exactly what you’re looking for easily on busy homeschool days. 3. Make additional sub-folders for each of your kids inside your master folder (Homeschool Year 20–) and add the digital homeschool curriculum that each of them will be using to their sub-folders. This will enable you to find the exact curriculum you need quickly as it is organized by child. 4. Rename the curriculum files in order for you to know what it really is. Most of the time the file names of digital homeschool curriculum you purchase won’t really make sense. If you don’t know what a file is, it will just take up space on your computer and you probably won’t use it. Optional: You can also set up sub-folders for each subject within each of your students sub-folders. (Ex. Master Folder -> Student 1 -> Art or Master Folder -> Student 4 -> History) For an OCD, over the top, busy homeschool mom, like me, this is perfect. 5. Rename the files that your kids completed in each student’s sub-folder (Ex. Completed – Art History Vol. 1, Done – American History, Finished – Horses Unit Study). This helps you know what each student completed each year should you need it for reporting purposes, report cards or transcripts. 6. Create a new master folder for the upcoming homeschool year and move/copy over files you didn’t finish using or want to use for sure next year. Repeat steps 1-6 each year to ensure that your digital homeschool curriculum stays organized and you save money by using what you’ve purchased! If you prefer to store your files in a cloud rather than having them take up space on your computer you can use Dropbox to follow the steps I’ve just given you. We use Dropbox in our homeschool and I love it! This may seem like a lot of work, but I promise that the benefits of using digital homeschool curriculum in your homeschool will make it worth it! 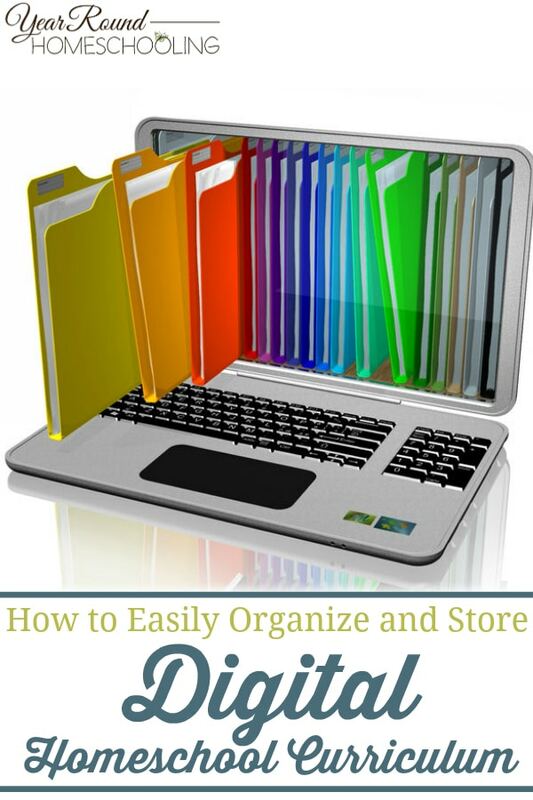 How do you like to organize and store your digital homeschool curriculum? These are great ideas. I am pinning this for future reference!